In this quick study I am taking a stab at the super popular brand BeautyBlender. The brand is the darling of social media and used by most professional and celebrity makeup artists. As far as I know all of my girlfriends own at least one of this unique makeup sponge. Despite it’s popularity I felt that the brand could use a bit of a visual revamp. I found the mood of the brand to be a little too generic and lacking a cohesive visual story. A brand this popular would deserve stronger visual presence and an elevated look. After all makeup is fun, artful, and require a great deal of know-how of skillful tips and techniques. Before crossing path with BeautyBlender, I never really focused much on makeup and even less so on makeup applicators. The first thing that stood out to me about BeautyBlender was the shape of the product. After my initial quick search about it, the unique droplet shape was the most prominent thing I could recall, besides the color pink. The company's logo however didn't register with me very strongly. 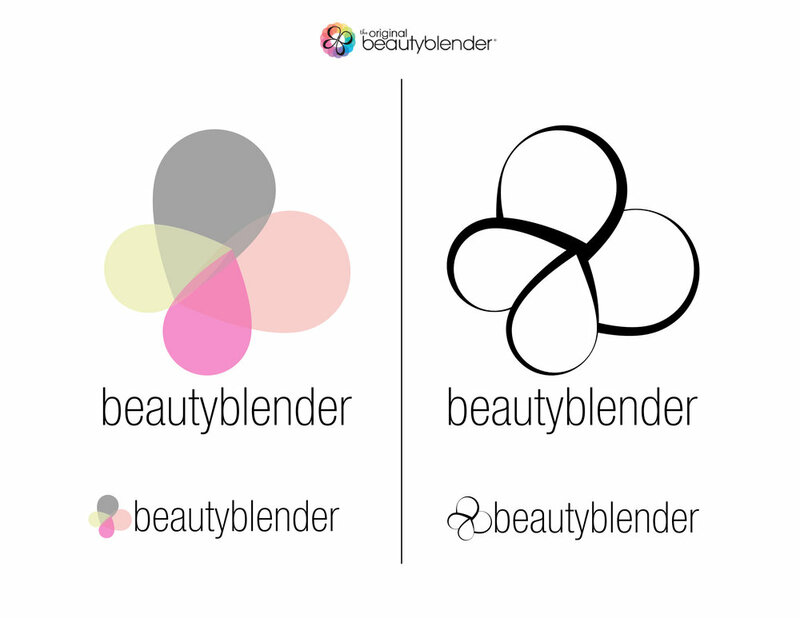 Only much later in my search I found that there is a BeautyBlender logo. It felt very odd to me that the logo had very little, if anything, to do with the “egg” shaped tool. Spending a bit more time learning about my subject, being a novice to foundation and makeup, I wanted to know what makes this sponge “The Original”. I came across a lot of testimonials about the product, cool tutorials, and spoke to quite a few people who explained to me that they love the product because it provides seamless application of the foundation and makeup they use. 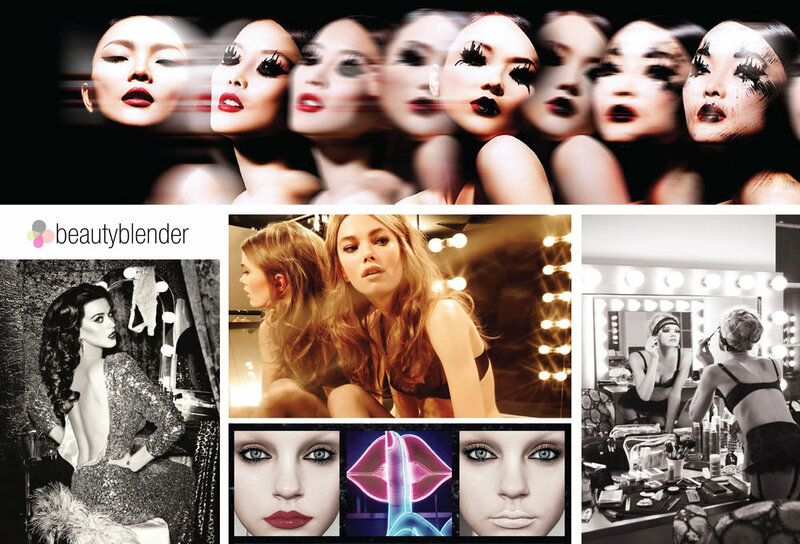 BeautBlender’s website seems to be largely focusing on the e-commerce aspect of the brand, while education around the differentiators are a bit vague. Given that the product is distributed widely across the globe, both on and offline. 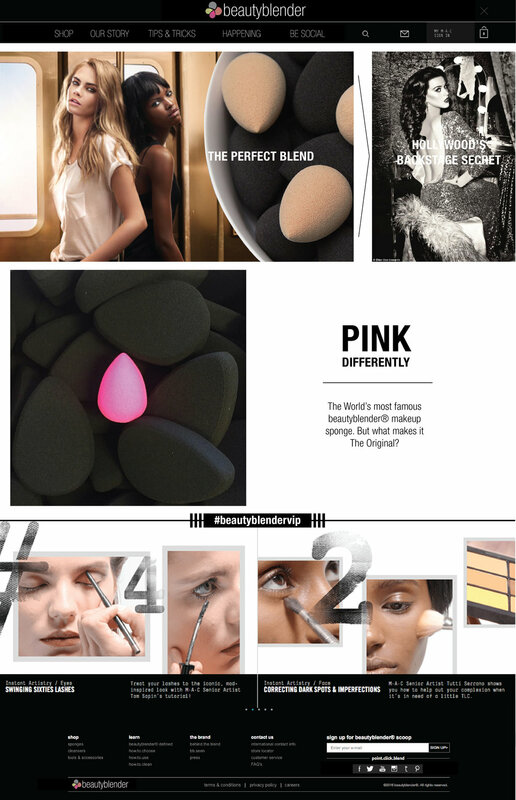 I felt that beautyblender.com should serve as a social hub of information and entertainment, shifting the focus from product sales to branding.